Ideal party favor for any event! Color a beautiful masterpiece with these crayons. 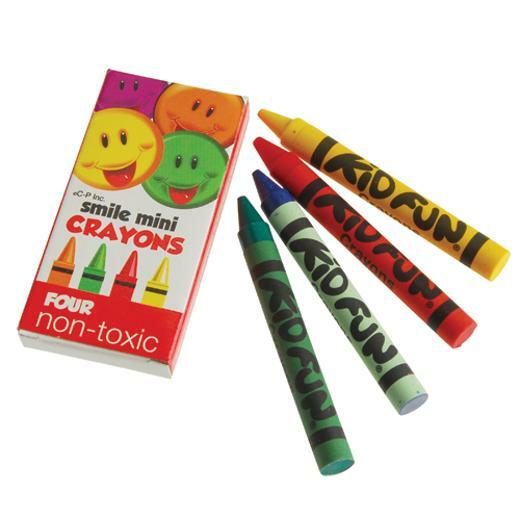 Crayons are an entertaining addition to goody bags or to keep children busy on a road trip. Crayons are our top selling stationery item and a must have for arts and crafts projects. 4 crayons per box. 144 boxes per unit. L: 8.7 in. W: 6.1 in. H: 5.1 in.